Virginia Fire Chief's Association Inc.
Our website will get you acquainted with the organization, which, even before 1950, has served your community. 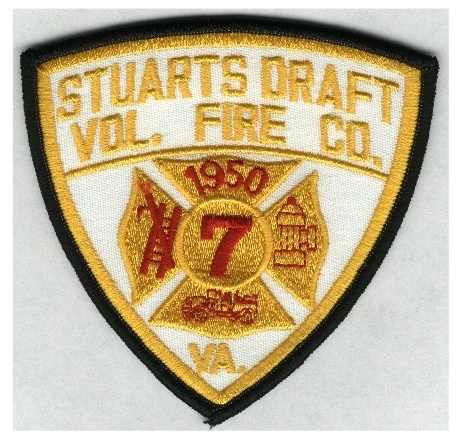 The Stuarts Draft Volunteer Fire Company was founded by men and women from your neighborhood, who dedicate their time and experience to provide fire protection for your family and business. These people bring a multitude of talents on behalf of the townspeople they serve; engineers, mechanics, plumbers, accountants, students, local businessmen, law enforcement officers, electricians, computer consultants, and technicians have all chosen to protect your home and community without any compensation whatsoever. Corvette Wreck on Old White Hill Rd. 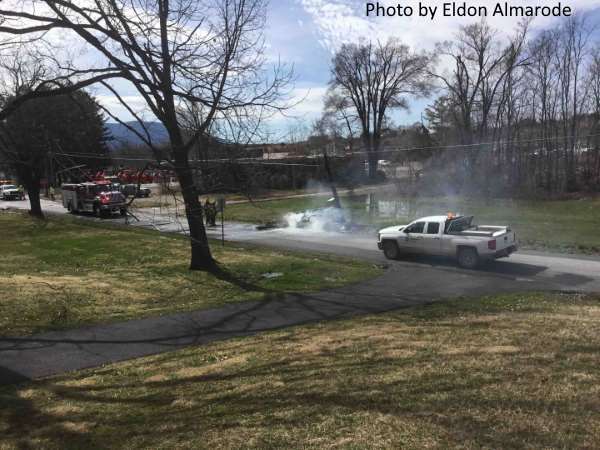 - Car hit Electircal Pole - Transformer dropped on car and set it on fire. This is all that is left. Wed Site Produced and managed by T. Randal Almarode Stuarts Draft, VA.